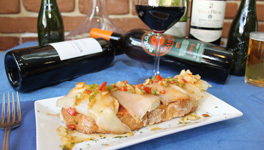 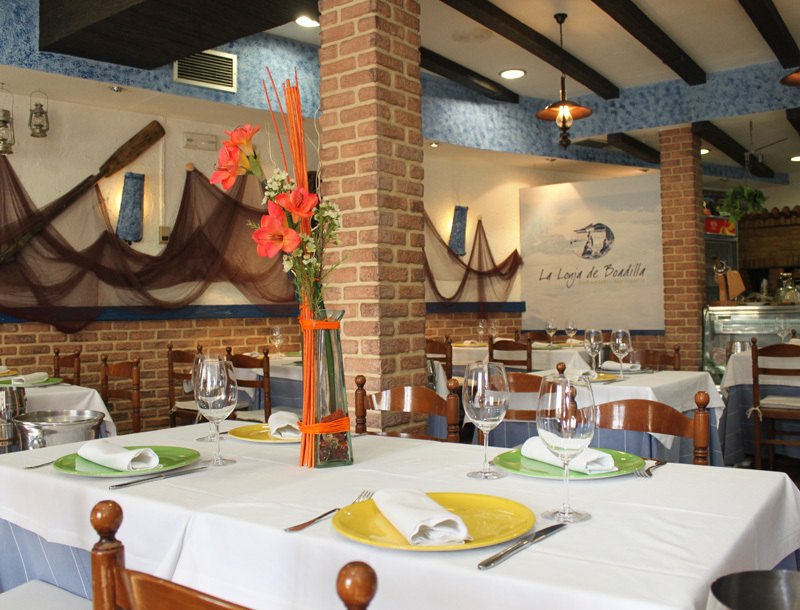 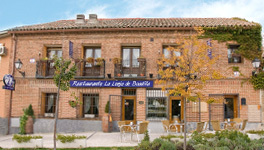 The building where the La Lonja de Boadilla Seafood Restaurant is located, is a two floor property of tradicional building, with a modern and properly-equipped inside to offer to our visitors a comfortable and welcoming place where they can enjoy their best lunches and dinners. 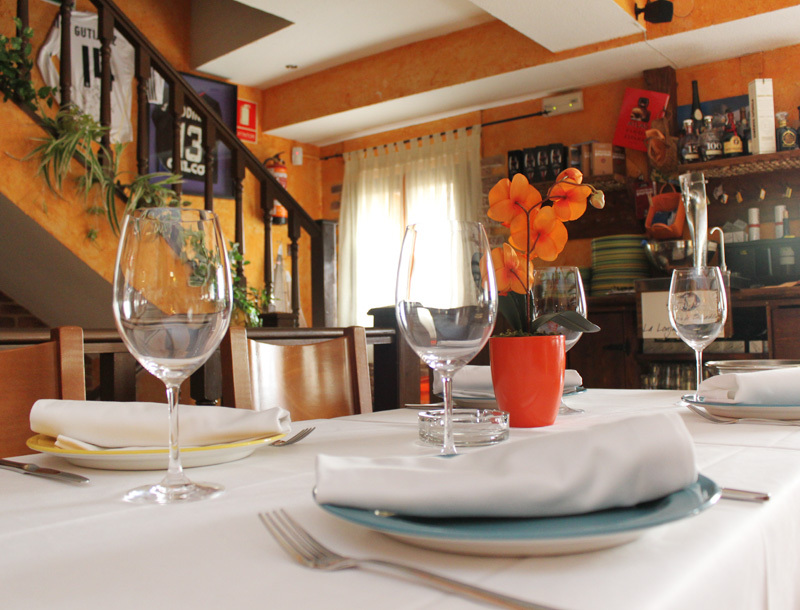 Restaurant: We own two independent dining halls, one in the ground floor and another one in the upper floor, where we can arrange private lunches or events in a separated way. 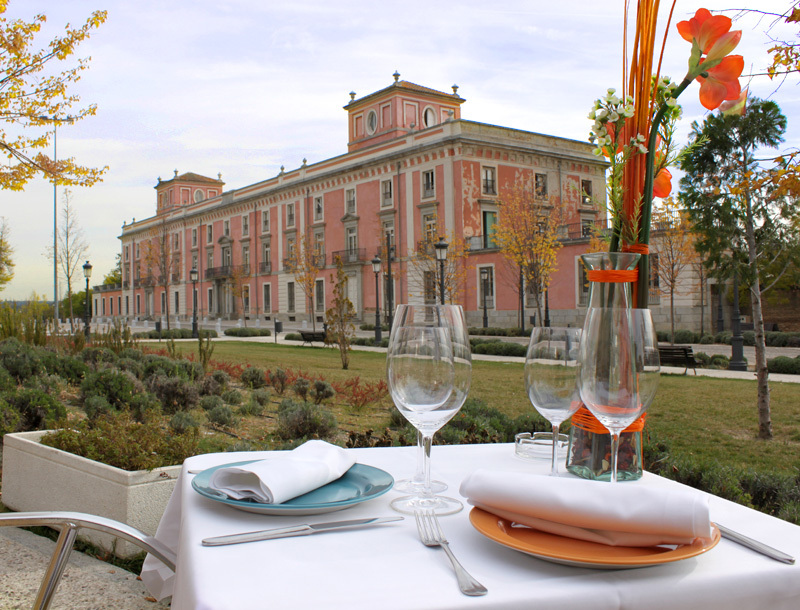 Terrace: In the summertime, the terrace of our restaurant with its exclusive views to the Infante Don Luis Palace, is the most appropriate place to hace a drink in a quiet and peaceful ambient.